Supporting the development of excellence in education, connecting communities to their educational program, increasing graduation rates, ensuring that education is culturally relevant. Elephant Thoughts has been working in northern Canada since 2002. 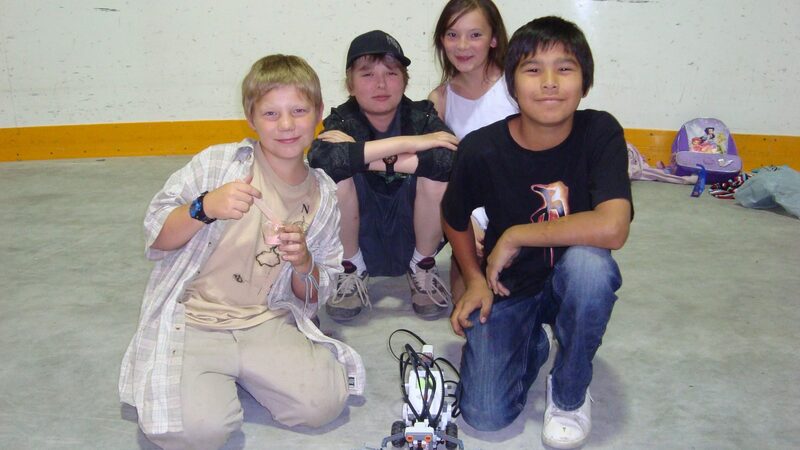 Since then, we’ve become a force for change in First Nations education. 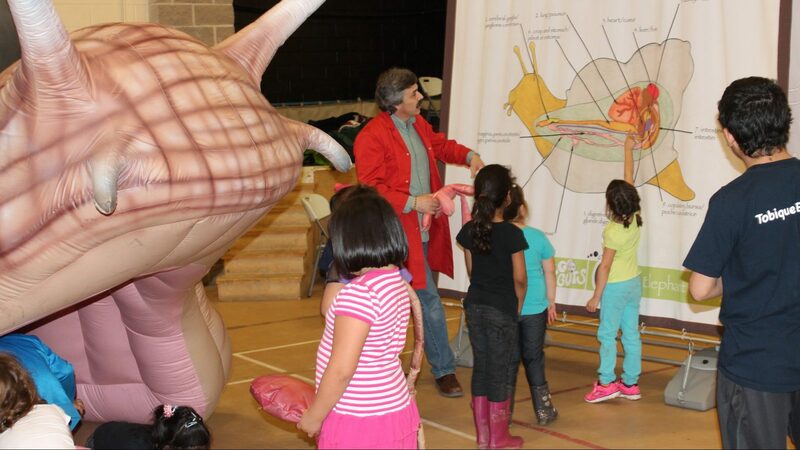 We have quickly expanded to become Canada’s largest science outreach program to northern schools, visiting as many as 100 Indigenous communities per year. We won many of Canada’s top awards for the Non-Profit Sector for our work in Indigenous education programs. We are teachers too. Meaning when we work in any school we recognize firstly we are guests and secondly we are colleagues with the local teaching staff. As such we want to support them in any way we can. We do that by offering teacher training alongside our workshops to students. We leave behind resources, and we give teachers the tools that they can use to amplify the effectiveness of our time in the community by continuing the learning. Our work in Indigenous Schools helps develop programs that combat low graduation rates, improve school attendance and apathy issues, and motivative the greater community to participate in education. We deliver some of the most exciting programs in the country. We write curriculum and teaching documents that are specific, relevant, and achievable for a community. We even teach administrators how to find dollars and write grants to bring in support programs when needed. We leave behind expertise since we hire and train locally whenever possible. When you work with Elephant Thoughts, you become a partner. Our goal is your success. For years to come we bring additional funds to the table when we can secure them, offer you resources and support, build on the relationship, be a problem solver when you need it, and basically become a life-long friend in education. We’re here to help you make your community stronger with educated, fulfilled, happy children. All of our work with Indigenous School Support is strictly not-for-profit. Let us know how we can help with education in your community. 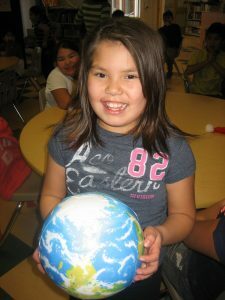 We are Canada’s largest science outreach program to northern schools and visit as many as 100 Indigenous communities per year. Throughout it all, we have learned a lot about how to do this really well. We teach and motivate students in an exciting manner developed to combat apathy and develop a love of learning. We help schools and teachers to better engage students and the community at large. We employ a large number of excellent Native educators. 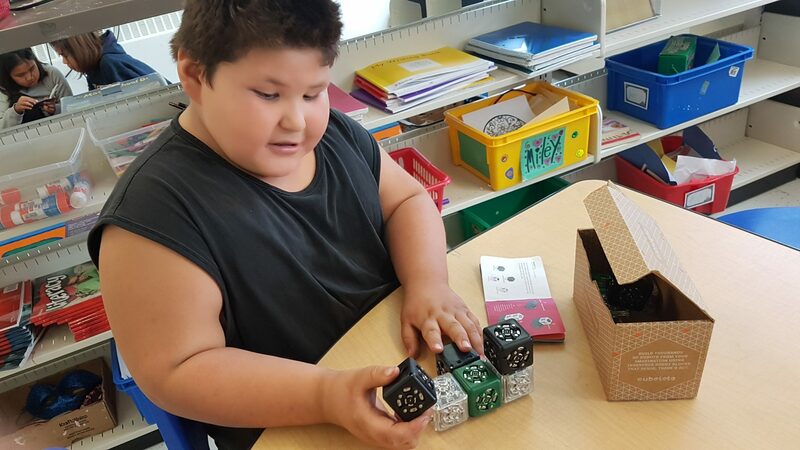 We excite every community we visit about the learning process and design programs that involve parents and the greater community, further connecting community and education in a positive way. Remote communities face a variety of challenges in providing effective educational programs. We recognize that in order to have academic success you must holistically work with a student to develop confidence, pride in identity, and develop social and emotional skills. After working for so many years with Indigenous children we understand their amazing strengths and develop programs that capitalize on those strengths. We combine Indigenous culture, academics and exploration in unique, compelling ways. It’s an approach that helps build self esteem and gives students the skills and courage to chase their dreams. This is education at its best! Our STEAM Workshops are a thrilling combination of hands-on activities and demonstrations involving unique equipment. Other organizations arrive with a few boxes; we arrive with a truck. 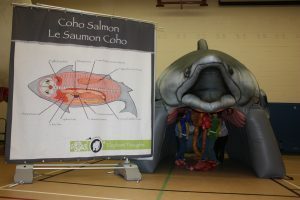 From our 4,200 square foot Endangered Species module, to the tools and machines that students build in our Renewable Energy module, to our Inflatable Planetarium in which we discover Native and Inuit constellations, programs are built big, bold and with cultural relevance in mind. We are teachers, so even though the programs are science-based we won’t miss the chance to develop literacy, critical thinking, and creativity skills. Since Elephant Thoughts is not-for-profit, you get the best programming and the best value available. Everything is grade-specific, which means that we have programs built around every age, from Kindergarten to Grade 12. We also custom design each program to suit your specific needs such as: number of students and their age range, your programming preferences, and program duration, provincial curriculum, culture. The coolest equipment, award-winning programming, greatest value. What are you waiting for? Connect with us to find out more. Call 705-444-2012 or email us.